October may only be a few days old but it’s time to consider the c-word – Coach travel. And yes, Christmas, too. Leading West Country-based coach tour operator Bakers Dolphin has been selling holidays from its latest Christmas brochure for many weeks already, but there are still plenty of places left if you fancy a festive getaway. With increasing uncertainty over the exchange rate, and the fact that our pounds are not going as far as they once were in Europe, many travellers have opted to not go as far either, with seasonal staycations proving particular popular this winter. The latest Festive Break brochure from Bakers Dolphin ensures that there is no shortage of choice, with more than 40 new tours added to the offer this year. There are new five-day Christmas tours to Cambridge, Cornwall, Eastbourne, Lincolnshire, Paignton, Shropshire, Southampton & the New Forest, plus Melton Mowbray, Cheshire, Middle England and Worcester & Stratford-Upon-Avon, among others. 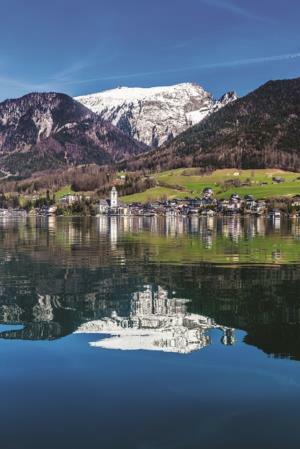 For those who do want to travel further afield, the luxurious coaches of Bakers Dolphin’s Gold fleet are celebrating Christmas among some spectacular scenery in places such as Switzerland, Austria, the Black Forest and Lake Garda. The company’s Sales & Marketing Director, Amanda Harrington, said: “There’s an extra special tour this year, which is a seven-day holiday to Austria starting on 29 November which coincides with the 200th anniversary of the classic Christmas carol Silent Night. The tour includes excursions to the Christmas market in St Wolfgang and St Gilgen, a boat trip from St Wolfgang to St Gilgen, a trip on the nostalgia train from Salzburg to Oberndorf, a torchlit walk from Oberndorf to Laufen and entry to the historical Silent Night play. Amanda added: “Recent times have been hard for many people, which probably explains why many are choosing to stay closer to home this Christmas. “To help ensure people can enjoy a deserved treat at the end of the year, we are more committed than ever to working as hard as we can to provide the best value holidays. “What makes Bakers Dolphin extra special, never moreso than at Christmas, is that when you look at the tours in the brochure, we guarantee there are NO surcharges at all. “So when the tour itinerary talks about excursions available to travellers, these are included in the cost of the tour. “Add to that our free home link service, which means your festive break starts and ends on your own doorstep, and it’s easy to see why coach travel is proving itself to be the most efficient and cost-effective method of travelling. “2018 has been a very memorable year for us, after we won two extremely prestigious industry awards – Coach Operator of the Year (Large Fleet) and Coach Tour Driver of the Year (Michael Blowers). To find out about the wide range of festive breaks available, call the Bakers Dolphin team on 01934 415 000, visit www.bakersdolphin.com or pop into one of the firm’s two shops, in The Arcade, Broadmead, Bristol, or the Sovereign Shopping Centre in Weston-super-Mare.